I’m sure most of you remember me posting a status on Christmas Day asking you all to pray for our friends, Lacey and Brandon, as their youngest daughter battled a strand of bacterial meningitis in the hospital. (If you are unfamiliar with what meningitis is click here to learn more) As most of you know their baby girl, Alaiya, didn’t make it. She passed away on December 26th, 2015. I don’t share any of this to make you all sad, because Alaiya was so full of joy, her smile could light up any room, and she has two of the most caring parents anyone could ask for. I share all of this to explain why Lacey telling me a few weeks ago she is pregnant with their third baby brought me so much joy. Yes, there will be a 3rd Wilcox baby girl, Averie Laine, due on October 18th! Yayyyy! The news of Lacey’s pregnancy made me so happy, because she and her family have endured so much loss, and heartache the last few months. (Lacey’s mother and her daughter died within a week of each other in December) The question “why do bad things happen to good people” couldn’t be more relevant when talking about the Wilcox family. 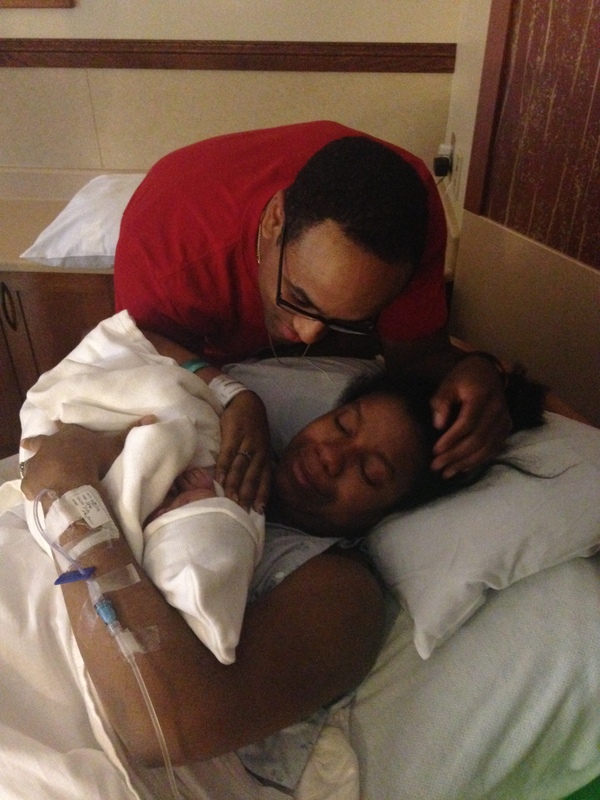 But there is such an explainable joy brought into our lives with the announcement and birth of a baby. I honestly believe there is no hurt the birth of a child can’t match in joy. It doesn’t take away the hurt but it balances it out by adding much needed joy. I believe, God and Alaiya, showed up right on time to remind them joy comes in the morning. 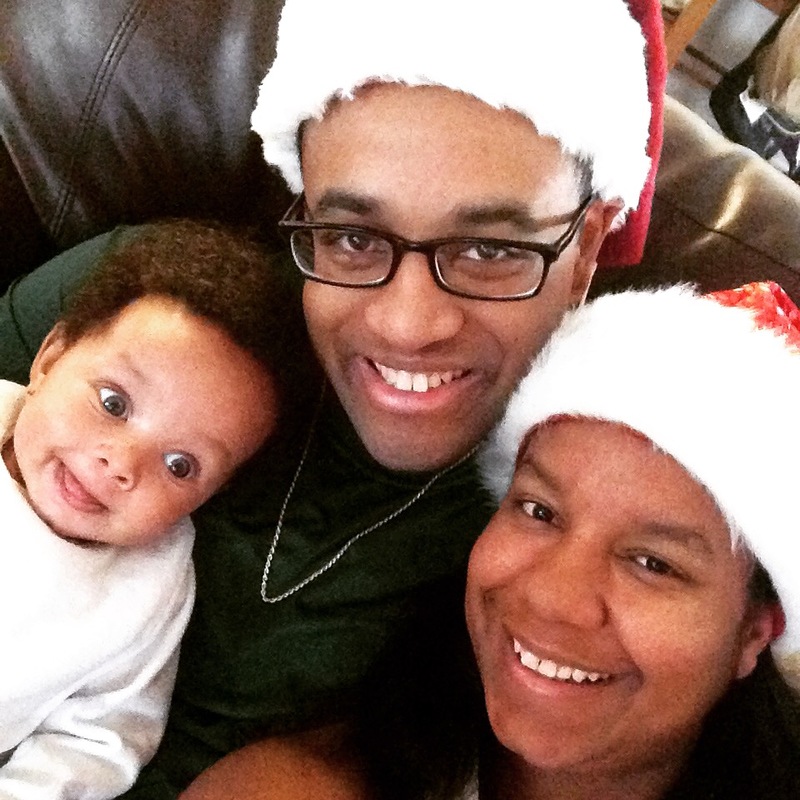 I asked Lacey last night if it was okay for me to share her baby news, and write a blog post about their family, because it’s something I wanted to share with people all over who take the time to read my blog. The faith and strength Lacey and her family have shown throughout the last few months is nothing short of admirable and heartbreaking. I first met Lacey in college through my husband, what now seems like eons and just a few weeks ago, (that’s the first sign of getting older, right? LOL) and from then she was always a sweet heart. It has been since about 2009 I have really considered her to be one of MY friends though. 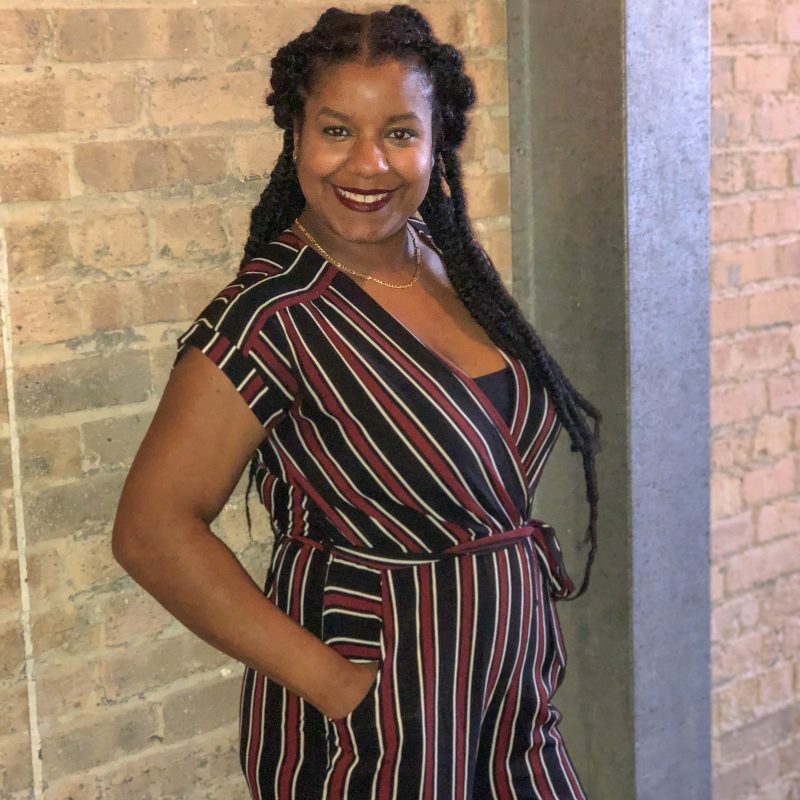 She’s the type of friend who although she lives hours (and a whole different state away) makes sure she comes to any birthday parties, baby showers, weddings etc. no matter how far she has to drive. She’s the type of friend all of us should be so blessed to have in our lifetime. Which in turn makes it even harder to see your friends go through such trying times, and know you would do anything to bring them joy again. It’s genuinely hard to see great people go through bad things. Especially when we see so much turmoil, so many bad things and people in the world, because we always naturally wonder “why them?” It’s even harder to live so far away from your friends when they’re hurting because all you want to do is wrap them up in the biggest hug and cry for hours. Being present doesn’t make anything happening to them easier, but sometimes crying with a friend makes everything seem better than it is for those few minutes. P.S.- funny story about the day of my baby shower and this picture: Alanna was not a fan of me holding Alaiya and basically said “put her down” in baby terms. LMAO. Also, Alaiya, was clearly just as confused as to why I was holding her and both of her parents are standing nearby hahaha. Today my not-so-little cutie pie munchkin is officially a year and half old. We went to her 18 month check-up and her pediatrician was quite impressed with how advanced she is for her age group. 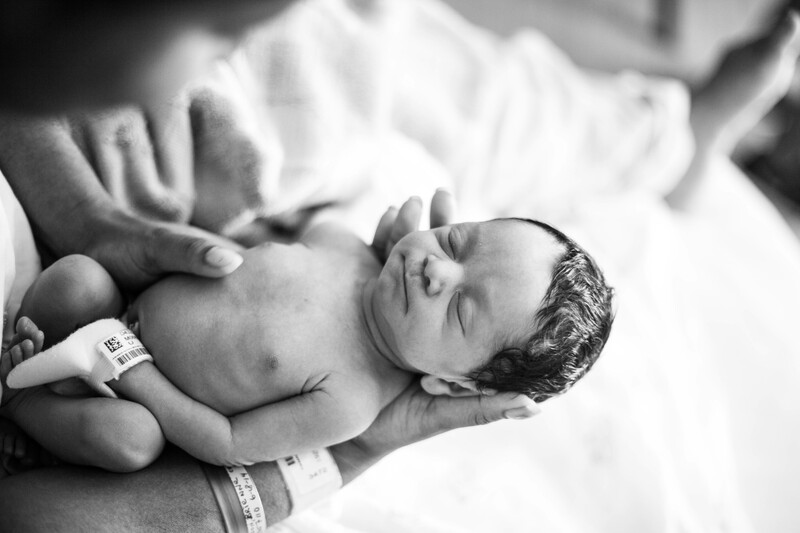 As a mother, you always feel you are biased in saying how amazing your child is doing, so it feels great to hear her pediatrician reassure you that you are doing an a-okay job. She has perfected the words: please, thank you, up, down, sit and calm down (when yelling at Ares), Mom, Dad, eye, nose, mouth, and teeth. When counting numerically she knows the numbers three, five, six, seven, eight, and nine. When saying our abc’s she knows a,b,c,d,e…and then she’s over it haha. Oh, and Daddy so sweetly slipped up and said the word “SH*T” in front of her on Halloween night…as I’m sure you’ve figured out by now…Jordyn added that word to her extensive vocabulary as well. Mama wasn’t very happy about this. She hasn’t said it in about a week or so. Cross your fingers that she’s forgotten it with all the new words she’s been learning recently! 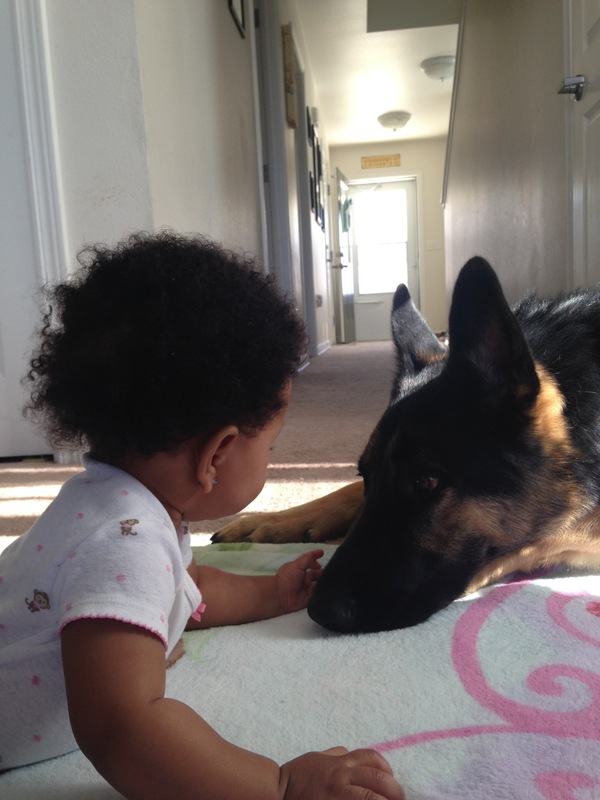 Jordyn still loves to dance (she even dances to the vacuum cleaner sound LOL) and still loves her doggie. Grandma Toni has been out here spending the holidays with us, and Jordyn has become her shadow. She wants to be with Grandma Toni ALL THE TIME. Mama doesn’t mind at all either because it has been nice to get a break! With all of this advanced learning has come advanced attitude -_-. She went through a “spitting when mad” phase that we ended pretty quickly with time-outs and “pow-pows” lol. Now that she isn’t allowed to spit, she yells at us when we tell her “no” or to stop doing something. I can already see her teenage years are going to be a blast in the Jamieson household! 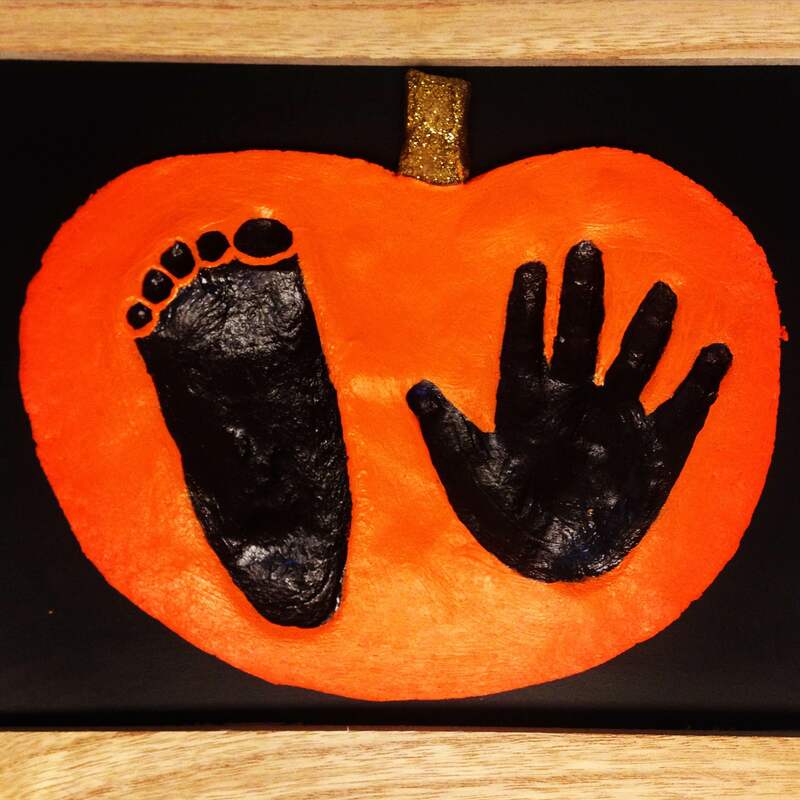 I have had quite a few people ask me how I made the salt dough hand print/footprint pumpkin craft for my little one, and I wanted to share the very easy process with all of you. I got the idea from @jessiebroad’s Instagram page who made almost the exact same craft with her children. The only thing I did different was a few extra colors and details. Here is the step by step process for making the little print pumpkins. Combine your salt, flour and water in a bowl. Knead together until combined as a smooth dough. Place your salt dough in between two pieces of parchment paper on the counter. Using your rolling-pin flatten you dough until it is about 1/2 an inch thick. Take your little ones foot and with a little force press down on the left side of the flattened dough to make a distinct enough imprint. You will do the same with their hand on the right side of the dough. However, aim for the middle part of the dough for each side so you have enough room to cut around the foot and hand print. Using a sharp tip knife, cut around the foot and hand print in the shape of a pumpkin. Make sure to include the stem in the cut out. Once the pumpkin has been cut out place it on a cookie sheet. Heat your oven to 200 F and place your salt dough in there for an hour. Allow about 30-minutes to an hour of cooling off after it has baked for the hour before moving on to the next step. Paint your pumpkin orange using multiple layers if necessary to coat the entire pumpkin properly. Give the orange layer(s) a few minutes to dry. Using a smaller paint brush, using the black paint, outline the foot and hand print. Once you have outlined the prints, fill them in with the black paint using a slighly larger paintbrush to save some time. Using multiple layers if need be to completely cover the prints. Lastly use your brown paint to fill in the stem of the pumpkin. Once the brown paint has dried if you decided to buy/use the optional glitter glue apply as much as you want to the stem. 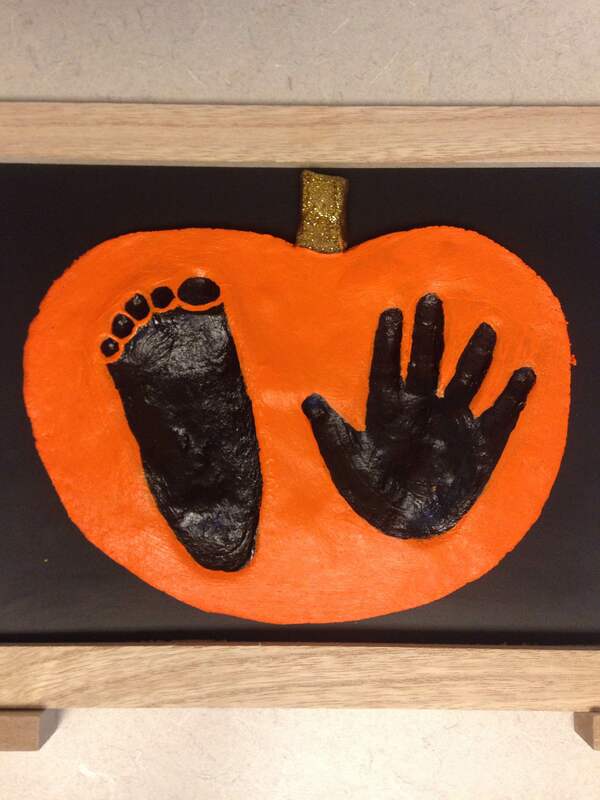 Let the pumpkin completely dry for an hour and you have a lovely Halloween keepsake for your little one! Happy 1st Birthday, Jordyn Denise! A year ago, today, my water broke at 2:30 a.m. I remember feeling so many emotions once the realization set in that the next time I walked into our home, we would be a family of four. I remember the nurses asking me as they wheeled me to the maternity wing “are you having contractions?” and my response being “I’m not sure. I feel a little uncomfortable, so maybe?” to which they followed up with “this is your first baby, huh?” and we all laughed. 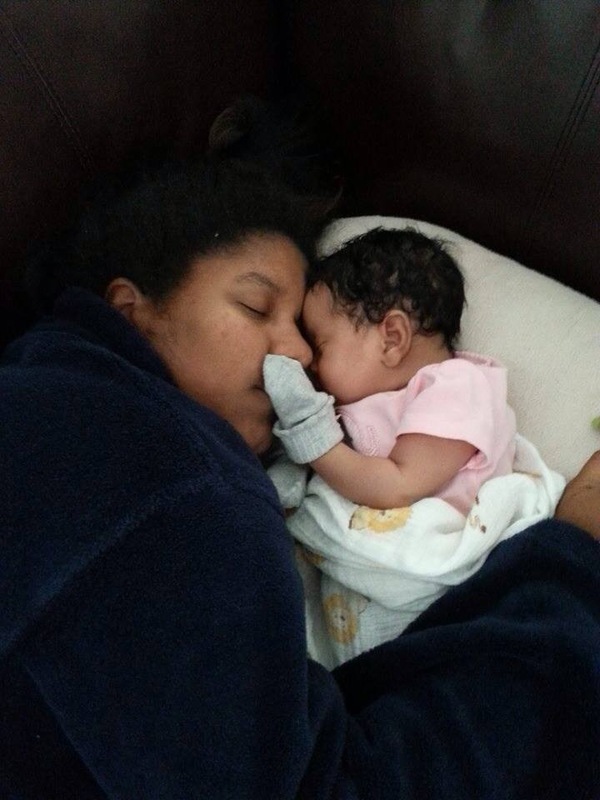 Never, in my wildest dreams, did I imagine how much being a first time Mommy would change my life forever. I only got to see your beautiful face and hear your equally beautiful cry for a minute before they gave Mommy the “sleeping medicine” on the table LOL. But I still remember how I cried immediately upon seeing your little face over the sheet before I fell asleep. However, the part I remember the most was when I finally was wheeled from the recovery room, and I was able to hold you for the first time. I don’t think I’ve ever cried that much in my life. I’m crying right now as I think about how perfect you were and still are. Your perfect little lips, nose, eyes, chin, ears, hair, fingers, toes, heartbeat…I could go on forever because everything about you was seriously perfect. 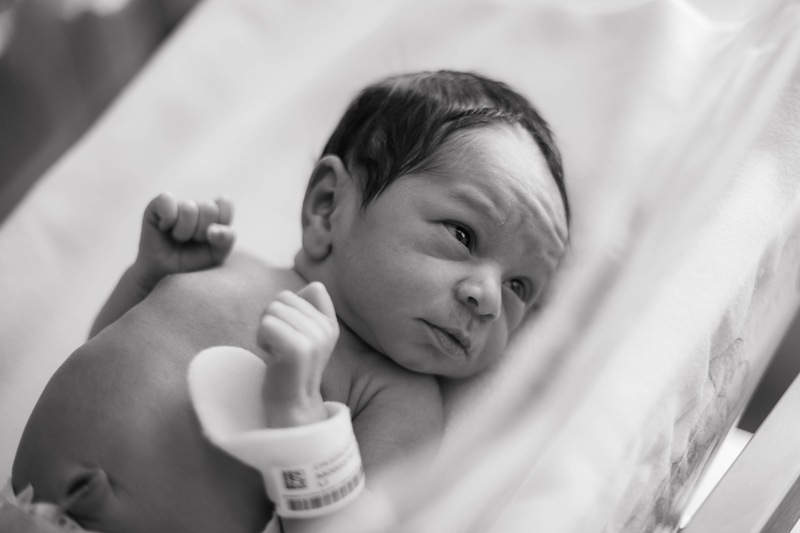 I couldn’t believe the little baby girl I had shared my body with for exactly 37 weeks was finally in my arms. I couldn’t believe I could love someone so little, so much. It was that day I learned what it meant to have my heart on the outside of my body. Everyday I say the same prayer for you. I thank God for bringing you into our lives, for allowing me to be your Mother, and for keeping you safe and sound. I thank Him for the joy and happiness you bring to everyone you encounter, as well as, being a blessing on this Earth. I pray you do God’s will and fulfill your purpose on His earth. I pray that no weapon formed against you shall prosper, and I end the prayer thanking God one more time for bringing you into my life. You have taught me a love I will forever be grateful for. You have taught me why the title “Mommy” means the world and more. You have taught me how to love even deeper than I could ever imagine. You have taught me why being a parent is the greatest gift I could have ever received in this life. Today is such a bittersweet feeling. I have spent the last eight months of your life sharing with the world how wonderful you are. 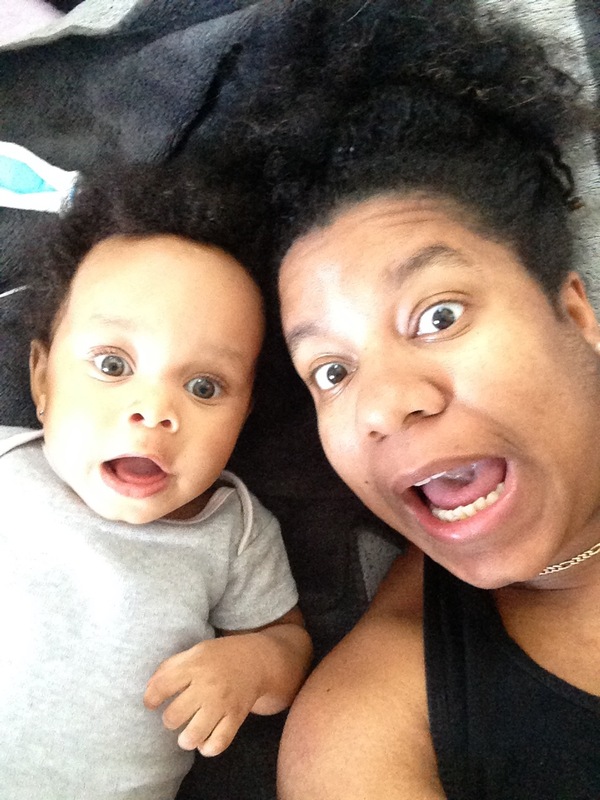 I have written each blog post knowing it was only getting closer to your first birthday. As happy as I am you are growing into such a smart, beautiful and independent little girl, it makes me sad my little itty-bitty baby won’t need me as much as she once did. I am beyond excited to see what this next year will have in store. I especially can’t wait for all of the lessons you will teach me over the next year as well. Happy birthday, Jordyn Denise Jamieson! I pray God blesses you to see many many many more. You are such a blessing and so loved. Jordyn is 11 Months Old! 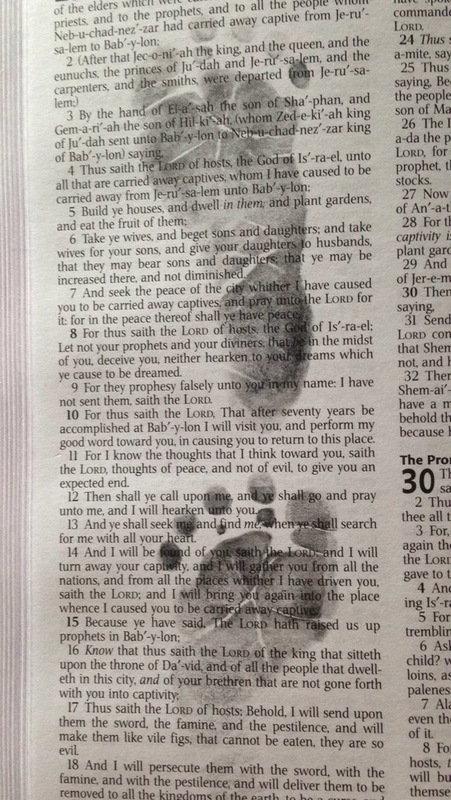 This last month, Jordyn has for sure found her feet. 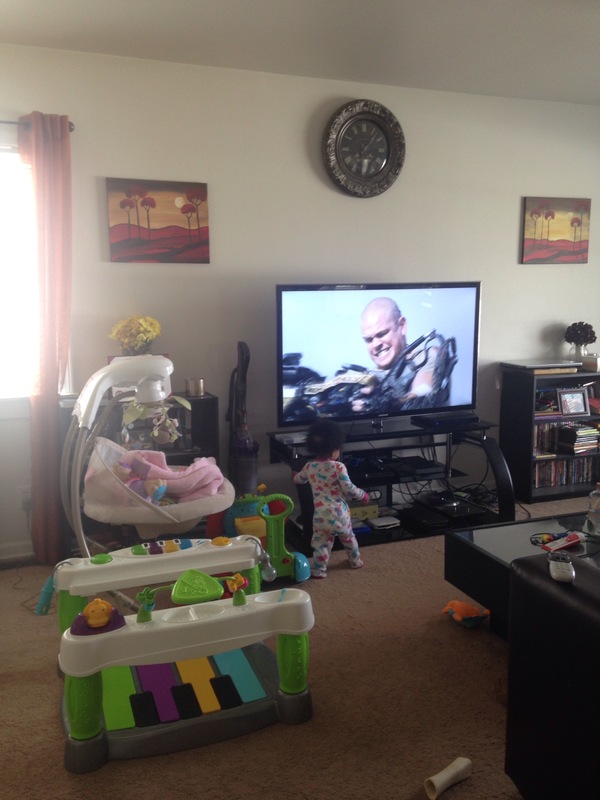 She hasn’t gotten brave enough to let go and walk on her own, but I swear this child is going for the world record of “fastest almost walking baby.” No, seriously, if you put her down at the table, and blink, she’s standing in front of the entertainment center giving you the “I’m innocent” look. 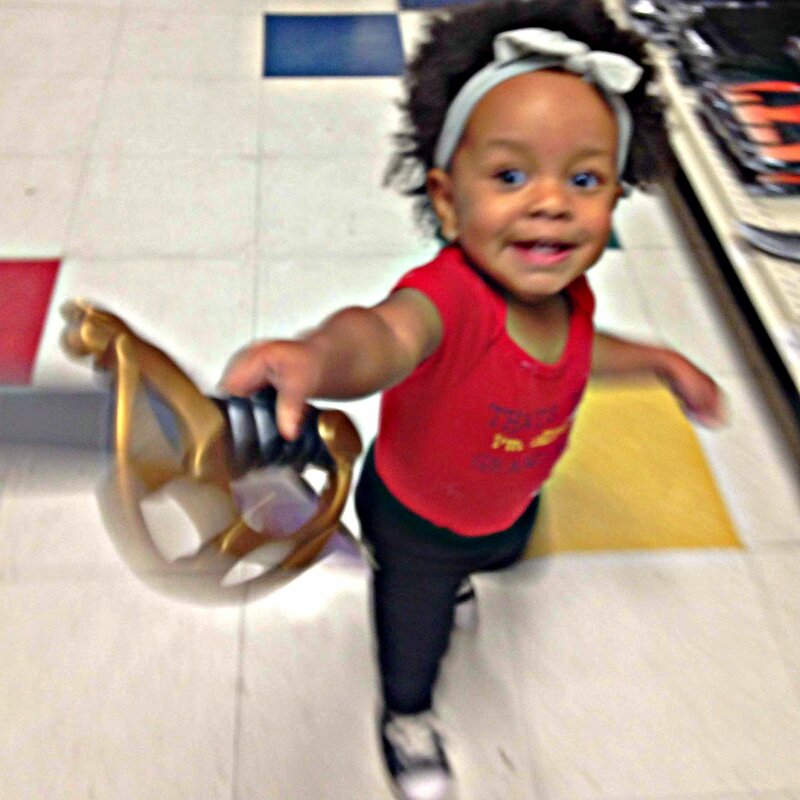 Jordyn is at the age where she definitely knows who Daddy and Mommy are, as well as, enjoying mocking Daddy and Mommy. She has also become very vocal and uses hand motions to tell you when she does or doesn’t want something. Either way, no matter what emotion she may be feeling at the time, you can be sure it won’t be a secret. As usual she looooves her big brother too. When she sees him walking towards her she gets the BIGGEST smile on her face. If he decides to give her some wonderful licks in the process, she giggles her little heart out. These two are the cutest double trouble you will ever see. Jordyn went swimming for the first time last weekend and oh man does she love the water! She splashed and kicked the water until she was “all wrinkled” as Dennis the Menace would say. She swam with her BFF, Norah, who wasn’t the biggest fan of the water at first, but warmed up to it and enjoyed it herself. Have I mentioned Jordyn LOVES music. This little girl will dance and shake her head to whatever song is playing. However, she REALLY boogies down to the theme songs for the shows “A Different World” ( the Aretha Franklin intro) and “Psych.” It is both adorable and hilarious to watch. 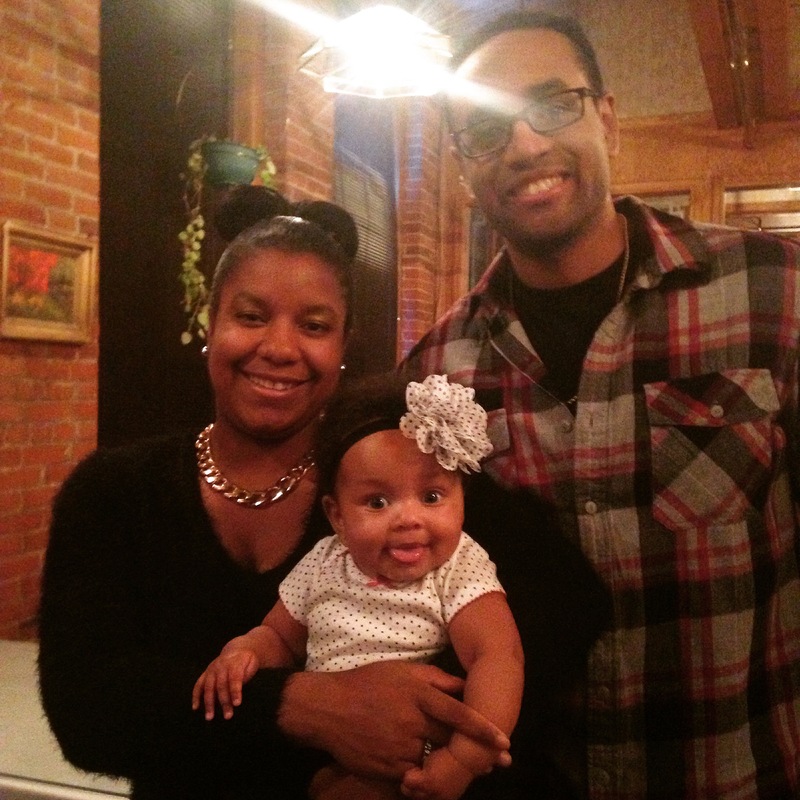 I hope you’ve enjoyed the monthly series leading up to Miss Jordyn Denise’s first birthday. 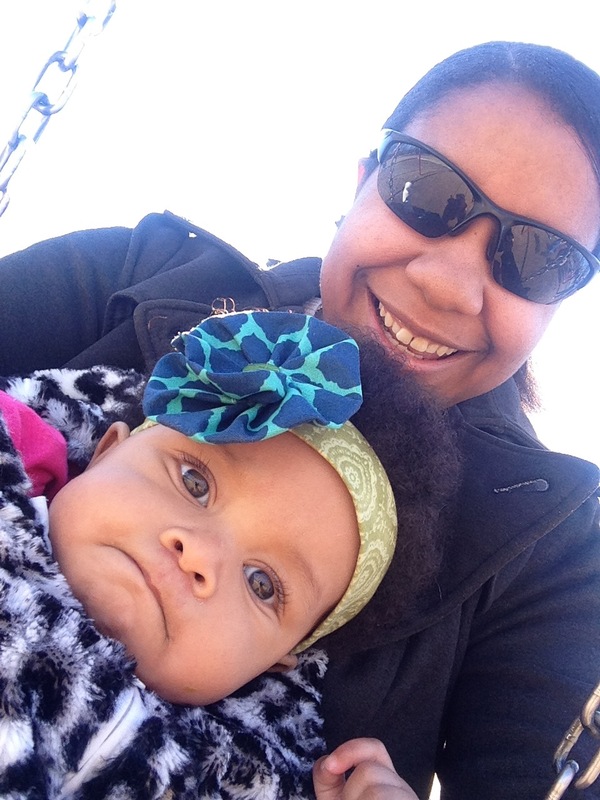 After her first birthday post/update, I will post Jordyn blog updates every 2-3 months, or share funny stories as they happen. Say a prayer for safe travels to, around, and from Salt Lake City for us. See you all again in a month for the big, 1st birthday post! Jordyn is 10 Months Old! 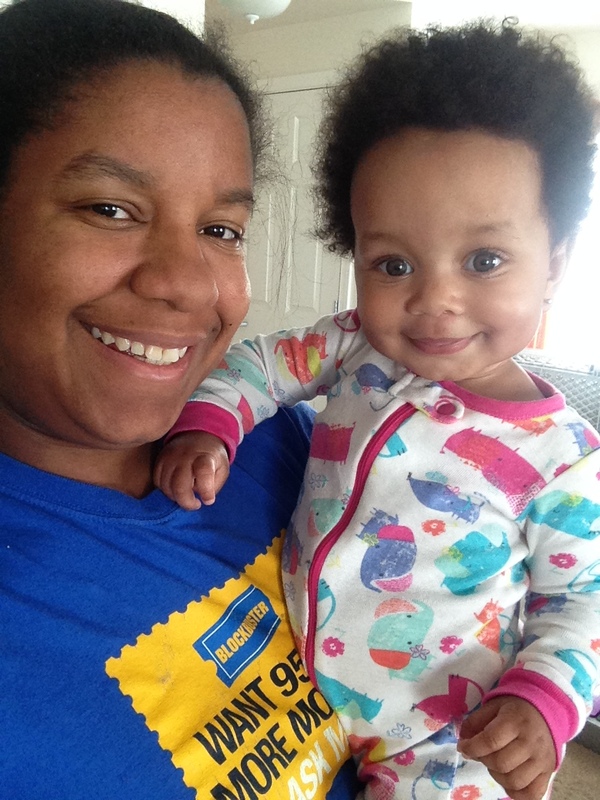 Little Miss Jordyn is only two months away from turning 1 year old…and I tear up every time I think about it. My Mom and I have been planning her 1st birthday party for the last month and a half, and I’m getting so excited for the day to get here! I’m amazed at how much she has learned and grown in the last month. She took five steps using her little walker toy the other night and I about jumped out of my skin with excitement haha. She can prop herself up on her knees and rock back and forth/dance her little heart out, but she refuses to actually crawl. I’m starting to think she takes pleasure in watching me run around the room looking for items to place in front of her to encourage her to crawl. 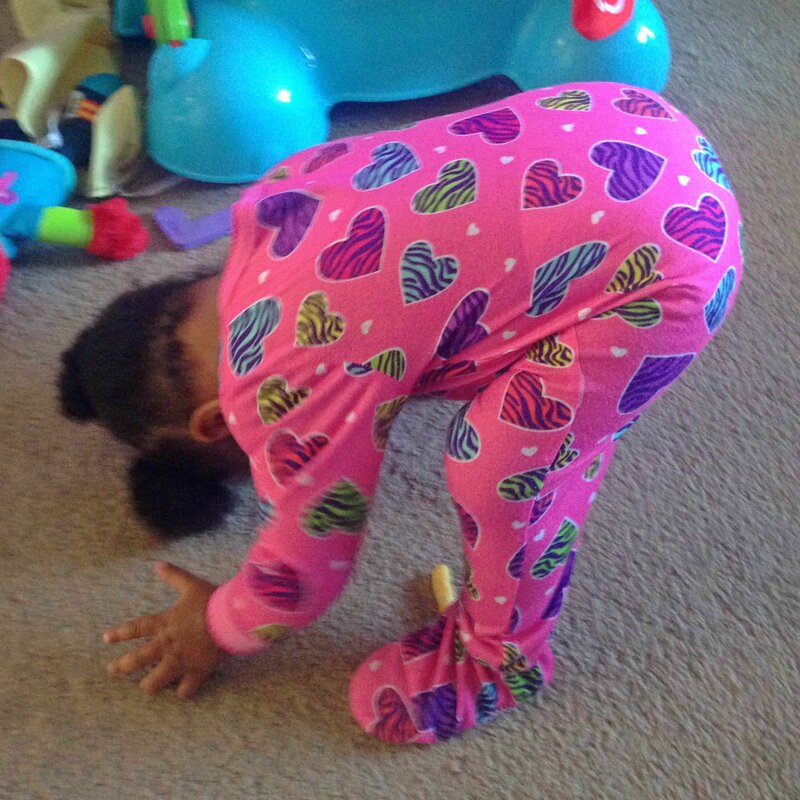 At this rate, it’s looking like she may skip crawling and go straight to walking. Once she is either crawling, walking, or doing both, we are going to have our work cut out for us, because she is a busy body! She’s officially at the stage where she can eat pretty much what we eat for dinner just blended up. She has her picky moments when she doesn’t want much to eat, but 95% of the time she eats with NO problem. We all ran into our first stomach bug last week/weekend. Jordyn caught the stomach bug on Wednesday evening and by Saturday, Kris and I both had it with her. It was a rough few days, but we all made it through. Thank God it was milder stomach bug and not a more serious one. I hated seeing my baby girl so miserable and tired. These days she’s doing a lot of shaking her head “no” and/or trying to make herself dizzy. I can thank her wonderful Dad for teaching her this little trick. 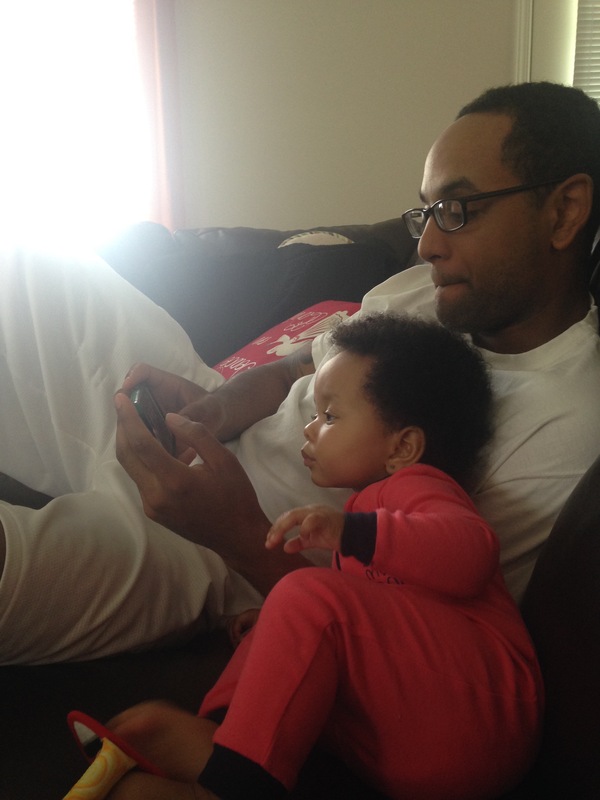 Speaking of her Dad, she’s still “Da-da-da-da-da”-ing it up almost all day. She used to laugh when I would tell her “say MA-MA,” but now she doesn’t even react anymore. She just stares at me like I am the most boring person in the world, and she wishes I would leave her alone already. I know, she’s sweet like that. The older she gets, the closer her and big brother Ares are becoming. If he could love on her all day long he would. 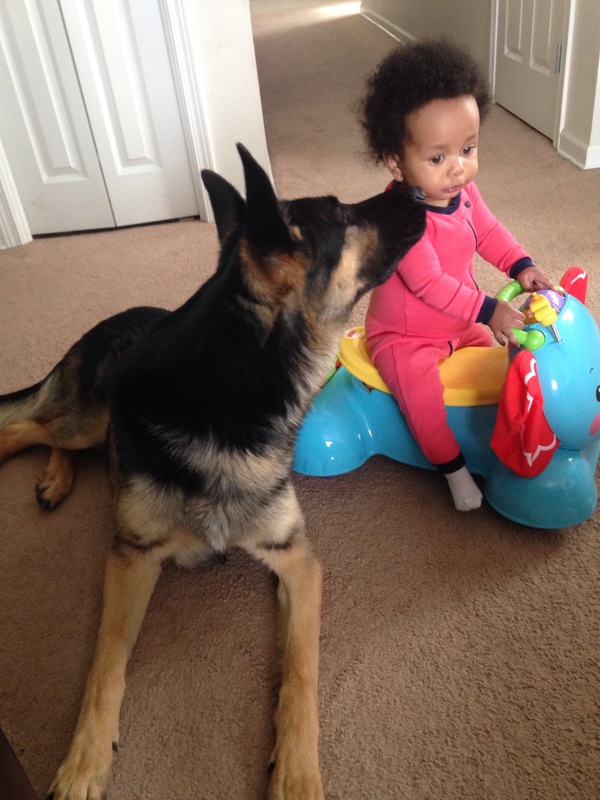 It’s adorable to watch, but annoying to have to wipe his kisses off of her constantly lol. I’m happy he’s so protective of her and I’m happy she loves him just as much. I have a feeling Jordyn will be walking this month, and something tells me the two of them will be getting into a lot of trouble together ;-). We’ll see you guys in a month for another update! Happy April Fool Day to all of you pranksters out there! Try not to ruin lives with your pranks, today ;-). Since it is April 1st, this means Easter is this upcoming, Sunday. This will be Jordyn’s first Easter. Years before I found out I was pregnant, I told myself I would make my future children’s Easter baskets myself. 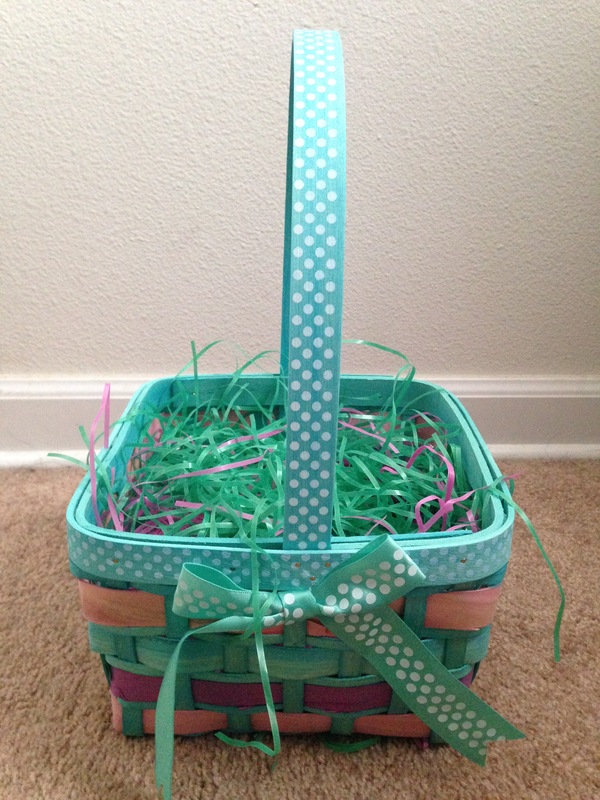 I love doing little DIY (do it yourself) crafts when it comes to the holidays, and I think personalized Easter baskets are the best since you can mold the theme to characteristics and personality. 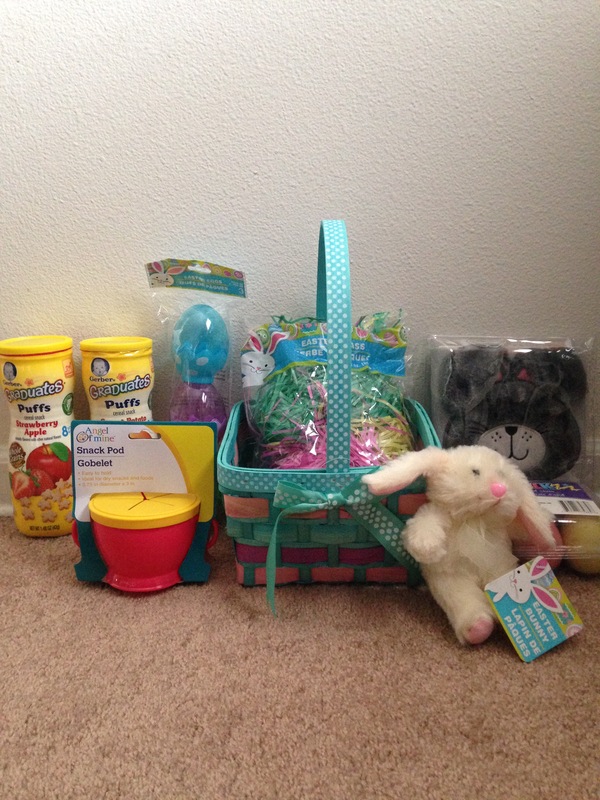 The theme for Jordyn’s Easter basket this year is pretty simple: Baby. She’s at the baby stage of learning to feed herself snacks, pick things up, hold things, and like the various textures of things. So I went to a few different stores to buy items she needs, likes, and can use in the future. 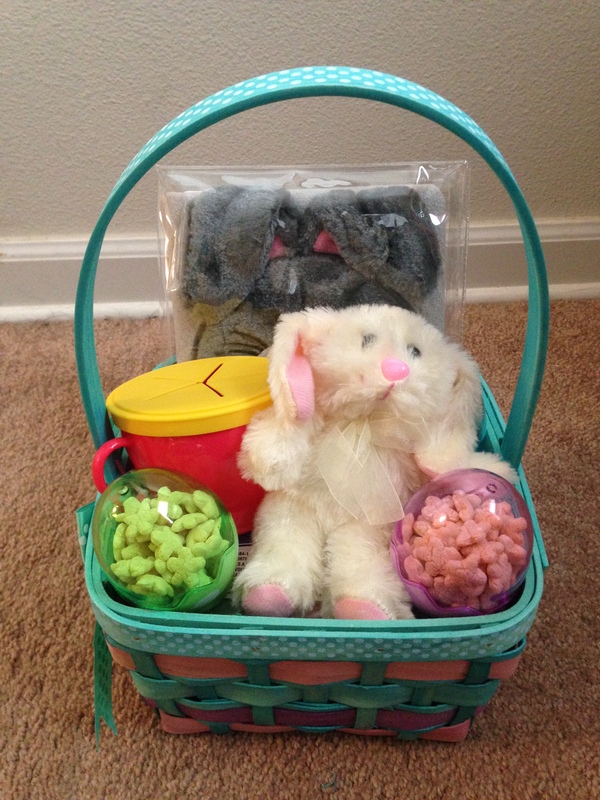 The basket contains: A bunny Bible, a set of egg-shaped outside chalk, a stuffed animal (bunny), large plastic Easter eggs, snacks to put in the Easter eggs, and a snack cup for her treats. 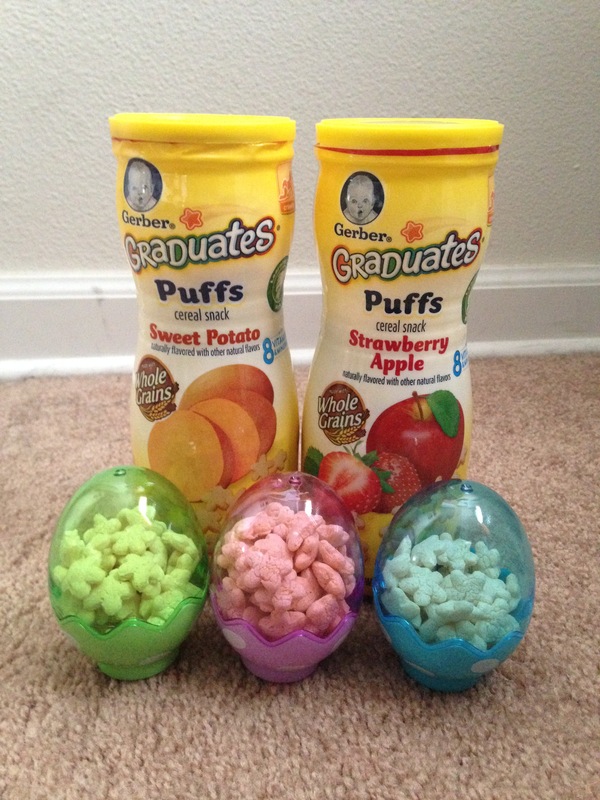 I first filled the plastic Easter eggs with the little Gerber’s Graduate snacks. Jordyn loves the Strawberry Apple ones! Then I placed the green and pink plastic grass in the bottom of the basket since it matched the basket colors. Now, put the basket stuffers in the Easter basket so it fits well, but looks full as well. I played around with a few ways to place the items in the basket before I finally picked my favorite design. Jordyn is 9 Months Old! My little Jojo is 9 months old, today. This last month she has advanced and learned so much I can’t believe it’s only been a month since my last post. She’s turning into this semi-independent, head strong, feisty almost one year old right before my eyes. 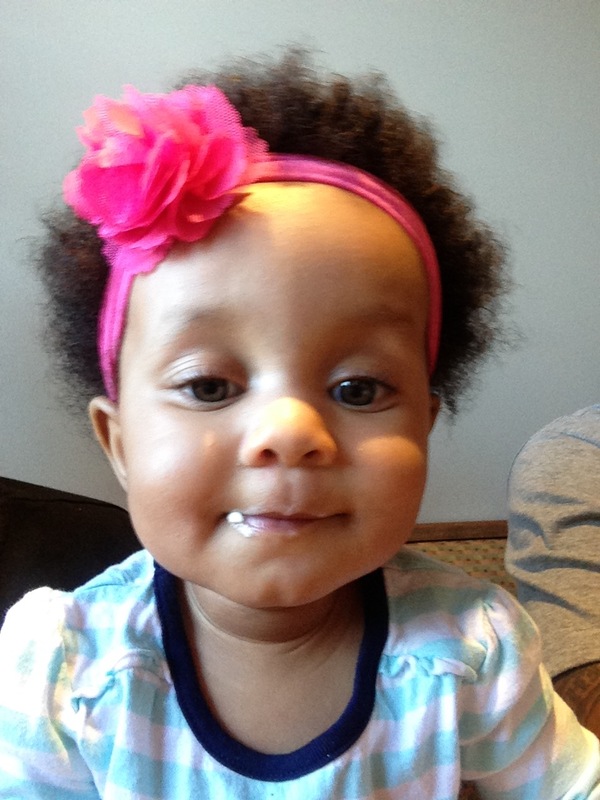 Although Jordyn is only 9 months old, she has so much personality, and cracks me up everyday. I know everyone says their child is adorable and funny, but I promise you Jordyn takes hilariousness to a completely different level. I don’t know how I got so lucky to be the mother of this amazing little blessing, but I can’t thank God enough for her. Jordyn is a professional at scooting herself backwards while on her tummy. She can also prop her knees up underneath her while on her tummy. However, she hasn’t quite figured out how to make herself move forward instead of backwards, and she hasn’t figured out that she can move her knees while they are underneath her either. It’s pretty funny to watch lol. She loves to stand, while holding onto the coffee table, and she has officially started moving her little feet taking steps sideways while standing at the table. She’s going to be walking before I know it, and I’m not ready! This has been a month of big girl “firsts”, as well. 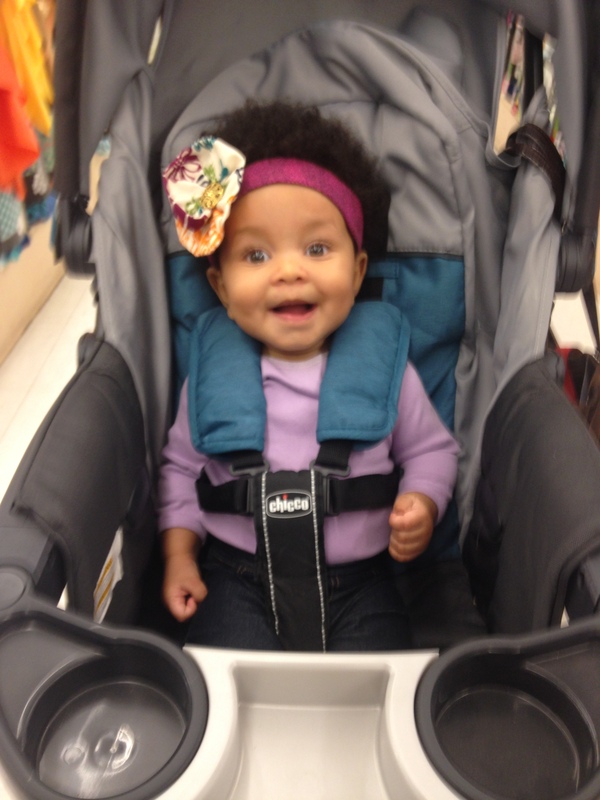 Jordyn sat in the big girl part of her stroller instead of the car seat for the first time. 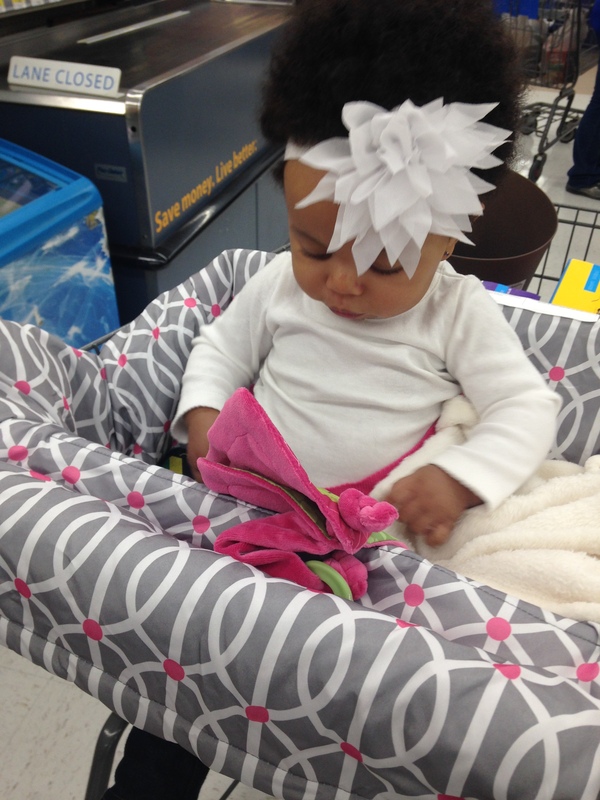 She also sat in the big girl part of the shopping cart without her car seat. She got her hair braided for the first time, and we got on our first swing together last weekend. So many firsts! LOOK AT MY BIG GIRL! This month Jordyn gets to eat some GOOD food. We get to introduce red meat, turkey, whole rice, a variety of beans, and so much more. I’m sure she will enjoy the new foods and I can’t wait to use my Baby Bullet for even bigger batches of food. 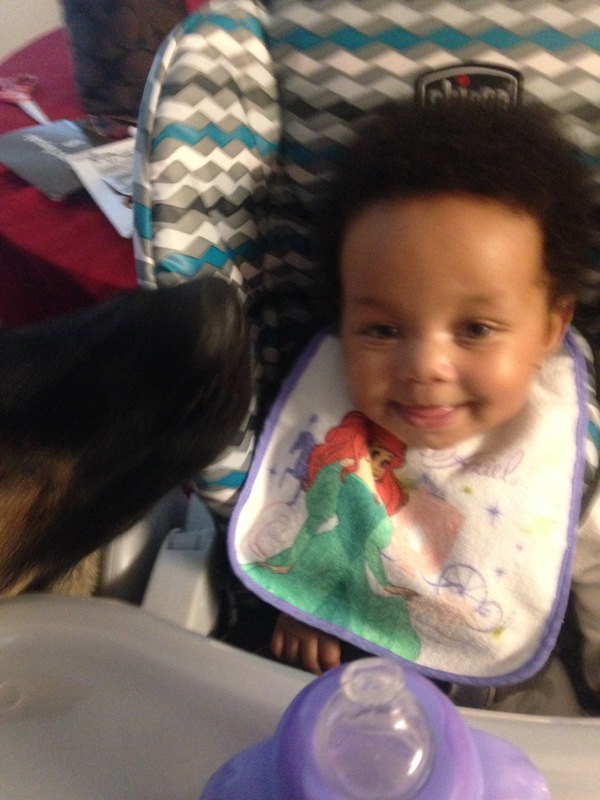 Before we know it she will be sharing food off of our plates. Jordyn also has two bottom teeth. She’s been teething like a champ and it hasn’t bothered her at all. Now that she has these two teeth and eats all of this food, we bought her a baby toothbrush and baby toothpaste the other day. We will use it for the first time tomorrow. Speaking of baby toothpaste, did you know Aquafresh makes an all natural, real fruit sweetened toothpaste for babies? I had no clue and thought it was pretty cool when we found it in the store last week. Hopefully she doesn’t mind us brushing her teeth and doesn’t put up a fight. She’s good at putting up fights lol. Oh, Jordyn is in the “all about the electronics” stage of life. Especially Kris’ Playstation 4 controllers. She’s quickly learning the word “no” during this stage as well. She loves to hold our cell phones while facetiming people. You may only see an eye or her forehead on the screen, but in her mind she’s doing it correctly and doesn’t want anyone’s help. When you do help her, she throws a fit and cries like someone stole her candy. She is what I like to call, DRAMA. Her 9 month check up will be next week. I’m curious as to how much she has grown since her last check up at 6 months. 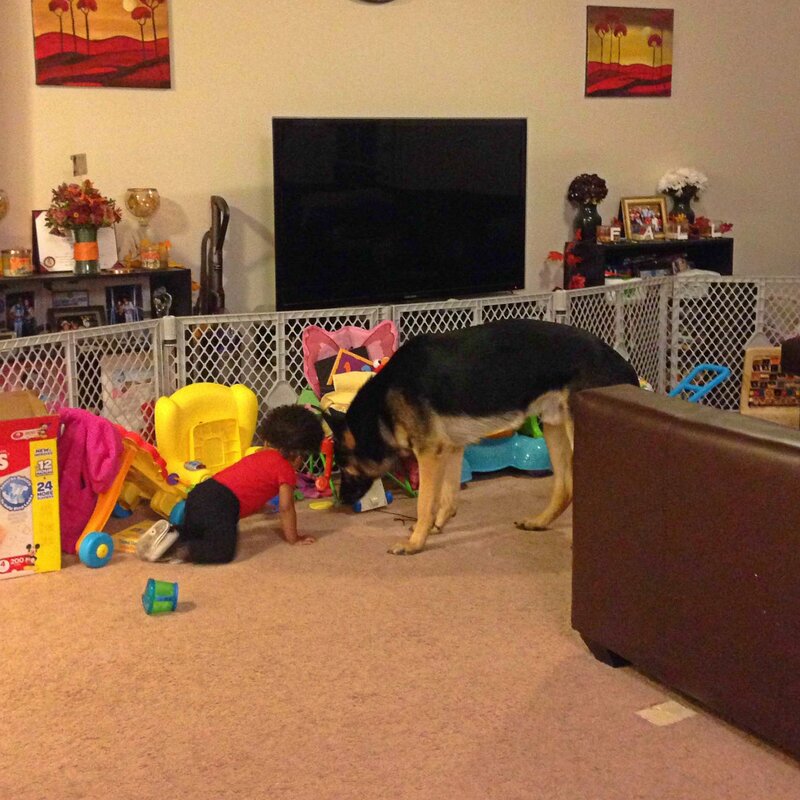 Seeing her stand next to other babies, we realize how tall she really is for her age. 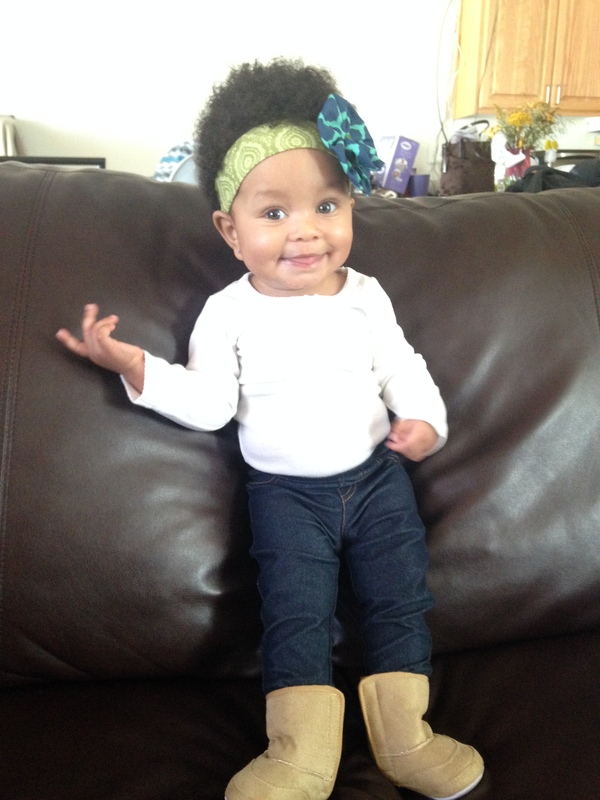 Jordyn is 7 Months Old! My little stinker is 7 months old, today. Every time I write one of these monthly posts, I am in disbelief of how fast time goes by. However, I am just as ecstatic I am able to be with her every day to watch her as she grows. We worked on getting her to go to bed almost 2 hours earlier than she usually does, so Mommy and Daddy can spend time together every evening before bedtime. It didn’t take long at all- after making her stay up (a.k.a. we entertained her for almost 2 hours straight) and skip her last nap of the evening. She now gets story time at 9pm, cereal bottle at 9:30, and is out for the count by 10pm. Once we decide to start sleep training her (we’re thinking this week so pray for us!) we will put her to bed about an hour earlier than we do now. In other 7 month news; she has learned how to blow air in our faces. She inhales (making the funniest inhaling sounds ever) then she puckers up her lips, and blows the air out. It’s hilariously adorable. She also likes to be held so she can stand on her legs. She can’t do it without us helping her but she quite determined. She can also sit on her own without any assistance which is pretty cool. Oh, and did I mention she has a tooth coming in?! We can officially see it when she smiles big enough for us to see her bottom gums. She’s been teething like a champ too, because she hasn’t been anymore more fussy than usual. Lucky us!